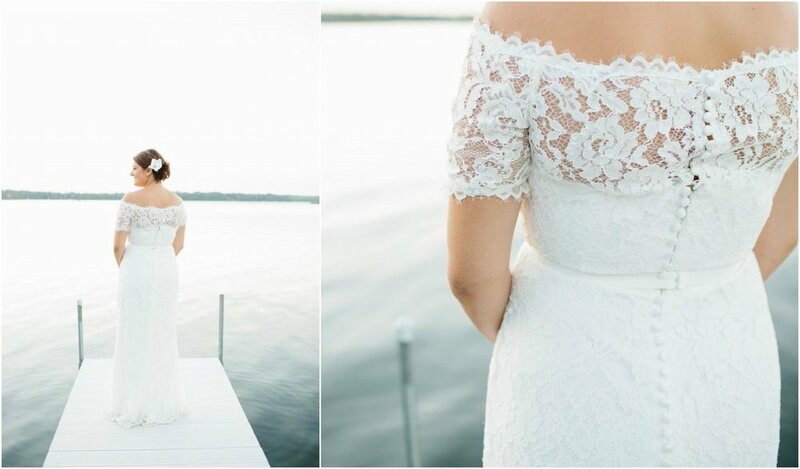 Now that the weather is starting to get chillier, we are dreaming of Sally + Andrew's Hawaii-inspired wedding day at Sally's family cabin in Emily, MN. Sally + Andrew were both born and raised in the Midwest, but decided to make a life-changing move to Maui, Hawaii in 2010 and have loved every second of it! Although they came back to Minnesota to get married, they knew they wanted to incorporate a few tropical touches into their wedding day. We love the clean colors of white and navy combined with their hints of Hawaiian flair. Sally + Andrew, congratulations once again, and we hope you are enjoying married life in Hawaii! We met and began dating in 2006 at the University of Kansas. We were both born and raised in the Midwest, so after college graduation we decided to make a big change and try our luck at moving to Maui, Hawaii. We have been living in Maui since 2010 and have loved every second! Andy works at Kapalua Golf, and it was only fitting that he proposed on the most iconic Hole #5 of the Kapalua Bay Course on the Pacific Ocean at sunset. We decided the place that was most special to both of us was my family cabin in northern Minnesota. We wanted the look to be crisp, clean, and with a touch of Hawaiian influence. We chose navy and white as our colors with beautiful white orchids and lush tropical greenery. Our Minnesota friends and family worked hard all summer getting the property perfect for our wedding day. Planning a northern Minnesota wedding from the middle of the Pacific seemed like a daunting task, so I hired Rosetree Weddings & Events as our wedding planner and day-of coordinator. Rosetree helped provide recommendations of vendors, helped coordinate decor and rentals, and helped keep me on a timeline of what needed to be done. 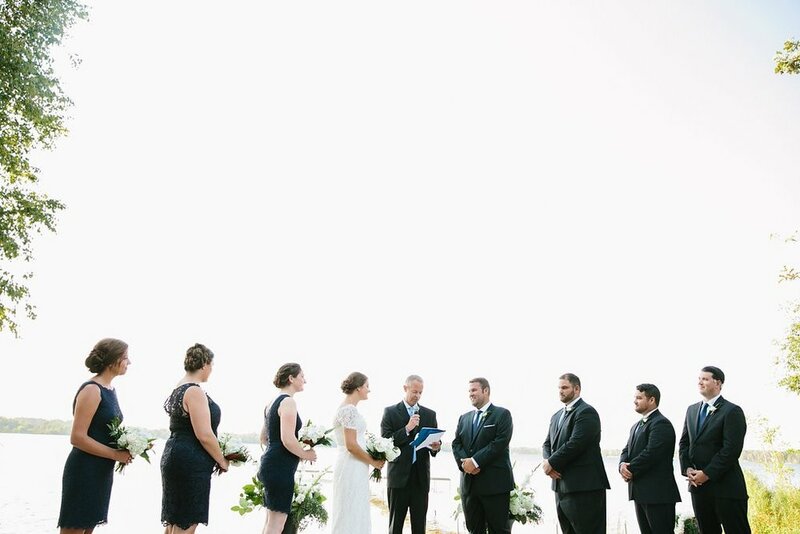 I loved our ceremony. We wrote the entire thing ourselves after reading many ceremonies online. We had our family friend, Pete, marry us and it was a great blend of traditional vows, humor, fun music, and we even did a Hawaiian Lei exchange. We incorporated a few Hawaiian songs we love, "Honey Baby" by Three Plus, and had our friend, Joe, play "Somewhere Over the Rainbow" on the ukulele. The reception music was incredible. Our group loves to dance, and I don't think we sat down once!